Problem: Making a crown for a single front tooth look natural is a challenge. 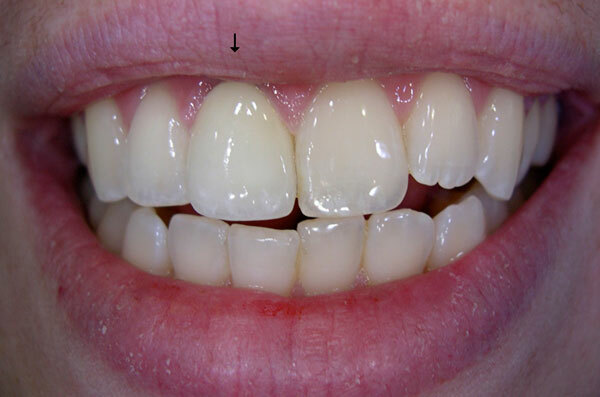 Solution: Innovative custom shading can make a single crown on a front tooth blend in seamlessly with the rest of the teeth. Only your dental team will know! 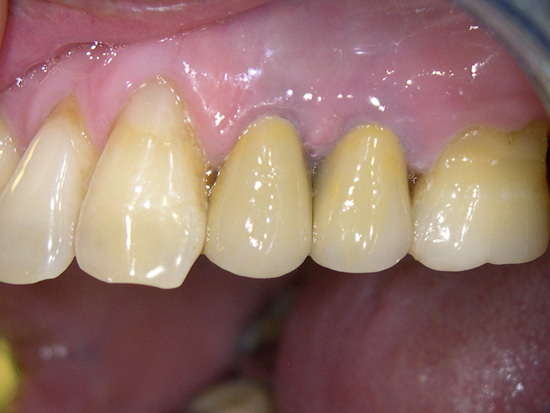 Problem: Gums can recede causing the edges of the crowns and root surfaces to appear. Solution: The new crowns fit precisely with the gum line. The surface texture of the new crown is also more life like. Problem: These teeth varied in size and position and had chips on the top edges. 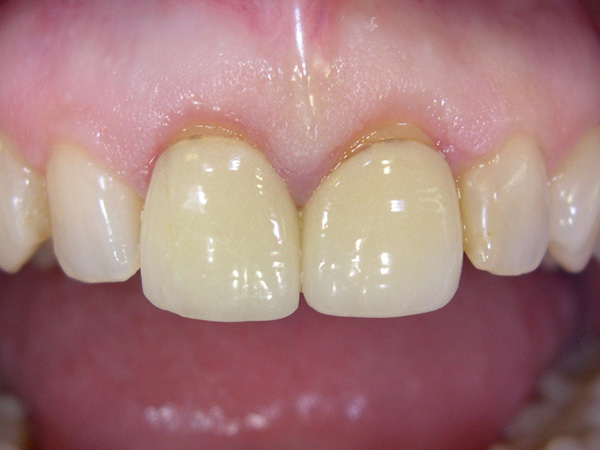 Solution: A combination of porcelain veneers and crowns were used to improve the aesthetics of these lower front teeth. 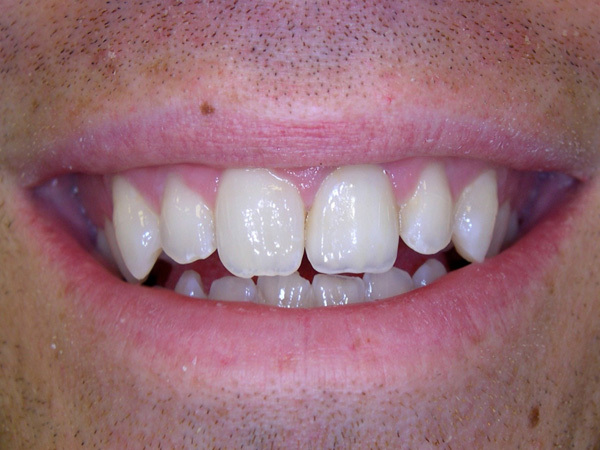 Problem: How do you match two front teeth to create a seamless smile? Solution: Place two porcelain crowns on the central front teeth. The colour and surface texture of the natural teeth can be duplicated in the porcelain so that the artificial crowns blend in impeccably. This makes the difference virtually impossible to see! 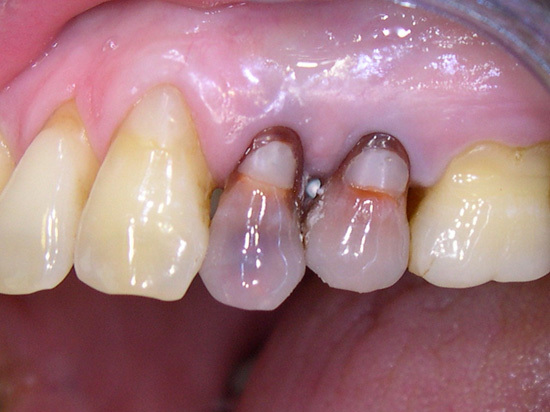 Problem: These teeth have a combination of spacing, crowding and discolorations. The overall colour was also too yellow. 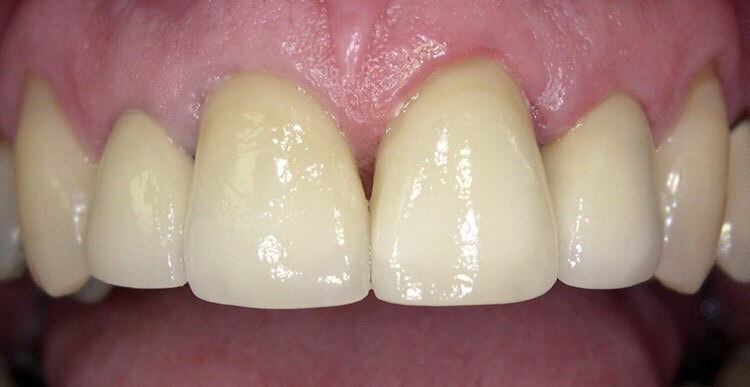 Solution: Six ceramic crowns were used to transform this smile. 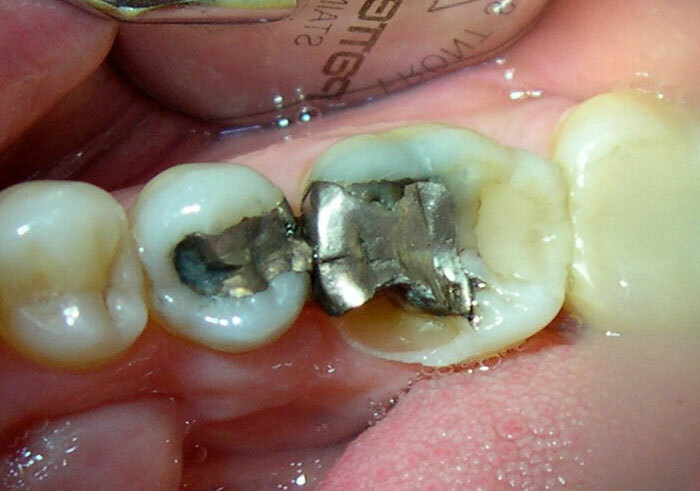 Problem: This tooth had an existing large silver filling and a portion of the tooth had also broken off. 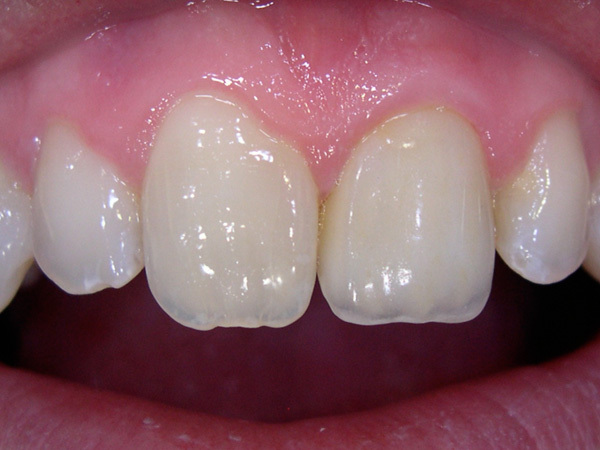 Solution: A porcelain fused to metal crown was used to restore the tooth. Problem: The two front crowns were replaced because one was cracked, and they were too square in shape. Solution: The two new crowns have better shape and colour than the previous ones. 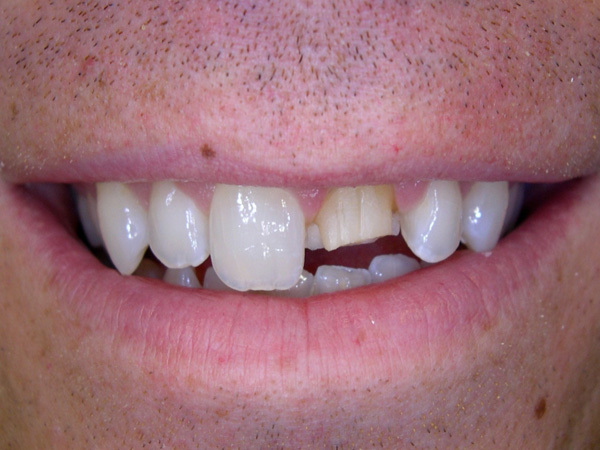 Problem: The original crown on the front tooth broke, leaving only a small portion of the original tooth. 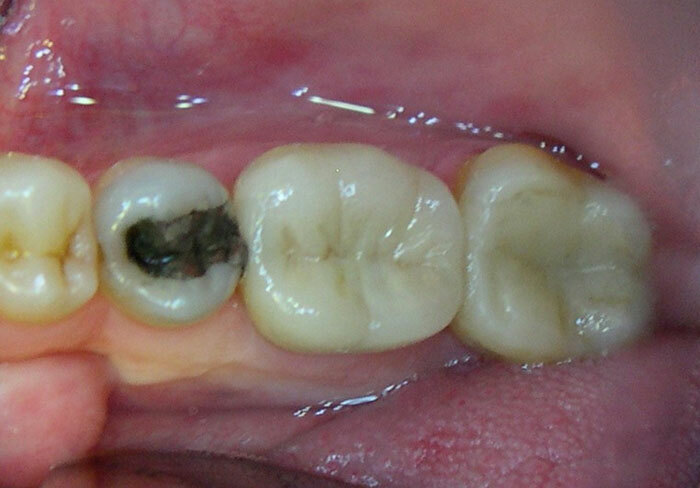 Solution: The new crown precisely matches the tooth beside it. The translucency and internal shading of a natural tooth can be duplicated with state of the art materials used in crowns today. 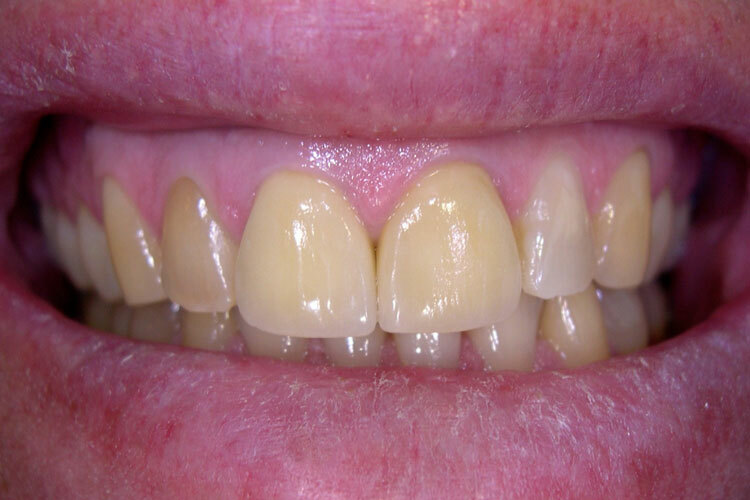 Problem: Severely discoloured teeth is an aesthetic problem. Solution: teeth were brought back to their natural appearance by placing two porcelain crowns. 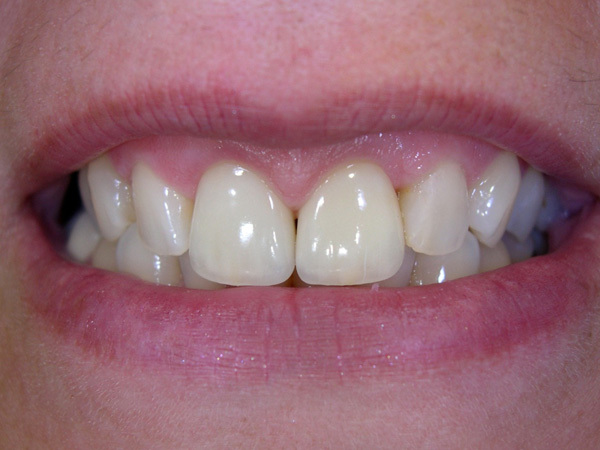 This transformation improved this patient’s smile 100%.